There's not one person who didn't want a pony as a child. The next best thing to owning a pony is to see hundreds of them roaming a beautiful island - frolicking on the shore and playing in the water. 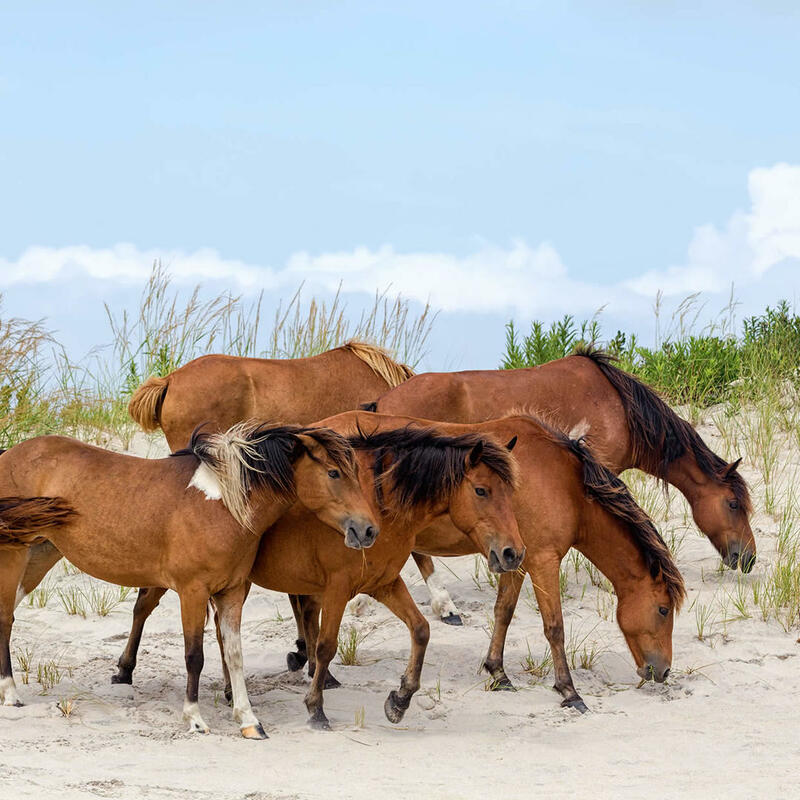 No one is sure exactly where Assateague's wild ponies originated from but it is certain that they were brought over by Europeans in the 1600s. In fact, horses and ponies are not native to the Americas at all, having been brought over by Spanish ships.